Everyone now wants to buy a budget Android smartphone apart from a regular smartphone for high-end usage, just because of low cost and features. And those provide all at low price and have essential connectivity options. If you are one of them, next month may be good for you. Now, as the next month approaches we expect to see a lot of new things in the word of smartphones and gadgets. And the next month is gonna be a big one for both iOS an Android lovers, despite of the fact that members from both the groups usually hate each others. As usual, iPhone is not just an ordinary and affordable smartphone, but this year at the Google I/O, Senior Vice President Sundar Pichai announced Android One, a new range of budget Android smartphones. And the Google Senior Vice President, Pichai also stated that Google will partner up with Micromax, Karbonn and Spice to bring them first to India, as he sees a huge opportunity in the smartphone market of India. 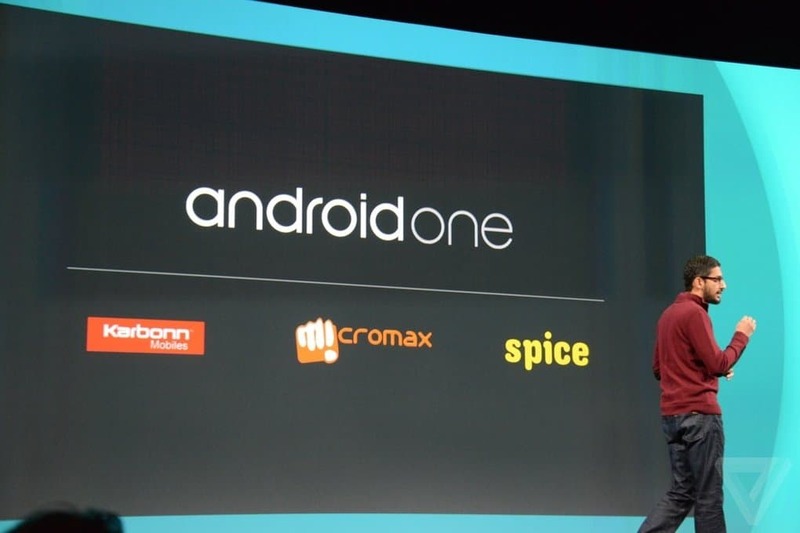 We are expecting the Android One smartphones to make its debut in India this September. According to Google, these smartphones will provide users an experience similar to that of mid-to-high-end smartphones. The devices will be powered by quad-core processors, which will most likely be supplied by MediaTek, following news of Google tying up with the chip making giant. The devices will come equipped with 1GB of RAM, little internal storage, but will offer users the capability to expand memory. Apart from this, smartphones being launched under the Android One umbrella will come with screen sizes ranging from 4.3-inch to 4.5-inch at first. The devices will run on Android 4.4.4 KitKat, but will receive the Android L update sometime in October, which is mighty close to the expected launch date of Google’s new software. Google is also in the run to make this devices as updated as Nexus devices and Google will be providing updates straight to the users just like they do fr Nexus devices, so that users won’t have to wait for an upgrade released via their manufacturer. And this will eventually, put the Android One devices apart from other devices running Android. Google is putting great efforts to make Android One as perfect as they can, just because it is being released in a developing market and the success of it will depend upon the user experience, among which many users will may be introduced to the smartphones for the first time. 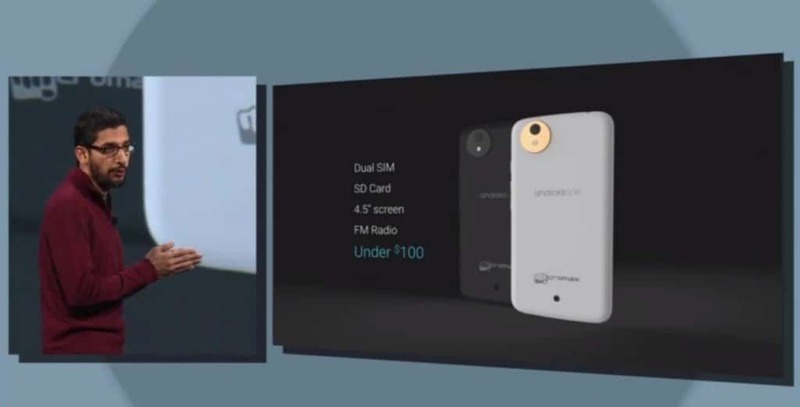 The smartphones will be priced between 7000 to 10000 INR, which is slightly higher than the price Google targeted earlier (100 USD or 6000 INR). But, it is pretty clear that Google is trying to dominate the smartphone market in India and other developing nations as far as they can. Already, 85% of the smartphones now run Android and may be we will see a little increase in that with the introduction of Android One in India.